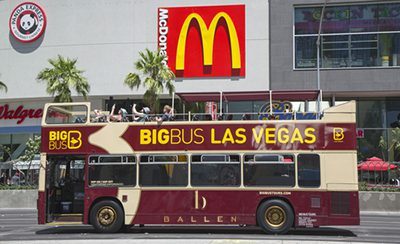 Double decker, open top tour bus rides known as Big Bus Tours are a fabulous way to take in the sights of Las Vegas. During the day you can opt to hop on or hop off to tour the city at your leisure, and at night you can see the city of lights in all her glory. Of, you can choose a Grand Canyon combo to take you off the strip and into other beautiful areas of Las Vegas.